The 2nd of March, 2019 will go down in history as a memorable day. On that day, hundreds of young and vibrant people moved together in the most beautiful procession to ever happen on the Legon campus! People couldn’t get enough of the mass movement of colour at Pent that day!! When i told my friends that #RexonaColourthon would be better than The #penthallweek19 concert this is what i meant. It was the most “lit” walk you’ve ever seen!! After having fun with the colours, we had a live concert that afternoon norrr with R2bees!!! And there was soo many games to let out more energy !!! See all the happy faces??? Yeah we’ve got great news for you!! This could be you soon!! because Rexona Colourthon is going to happen again!!!!!!! It will happen live in KNUST!!!! On the 6th of April! So, Kumasi…get ready to take part in the biggest movement ever!! Rexona isn’t leaving you out!!! 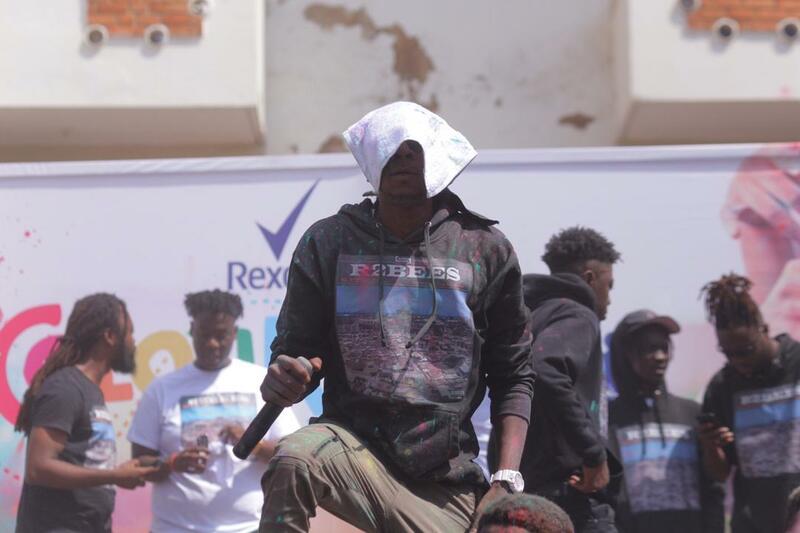 If you don’t believe you’d have the best fun you’ve ever had.. take a look at these pictures from the #RexonaColourthon on Legon campus right here: Rexona Colourthon, Legon! Register now on: www.rexonacolourthon.com to secure your gear!